My children, nieces, nephews – in fact the entire extended family – call it ‘The Welcome Hill’. That magical slope down from the site of the old White House Hotel that lays Abersoch before you yet again – all those happy memories re-imagined, those plans (a year in the making in some cases) about to come to life. 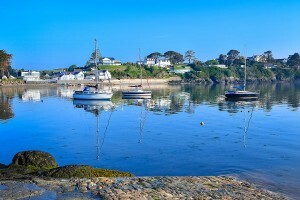 To your left the harbour, the headland and glimpses of the bay – twinkling in the evening sunshine. Ahead of you the village – the lights and laughter of the bars, shops and restaurants illuminating the scene of your annual slice of paradise. For those who live here it’s a welcome that never grows old or too familiar, for those who visit it’s another taste of an everlasting love affair that is rekindled year on year, a life-long romance resurrected each season by the summer sunshine. Sitting central to the scene is a landmark that to many will feel as old and as familiar as the village itself – the boaters dreamland of Land & Sea. The business has, in one form or another, been sitting facing the harbour, acting as the threshold to the village and that promise of an endless summer, for decades. 2018 is a special year in that long history. 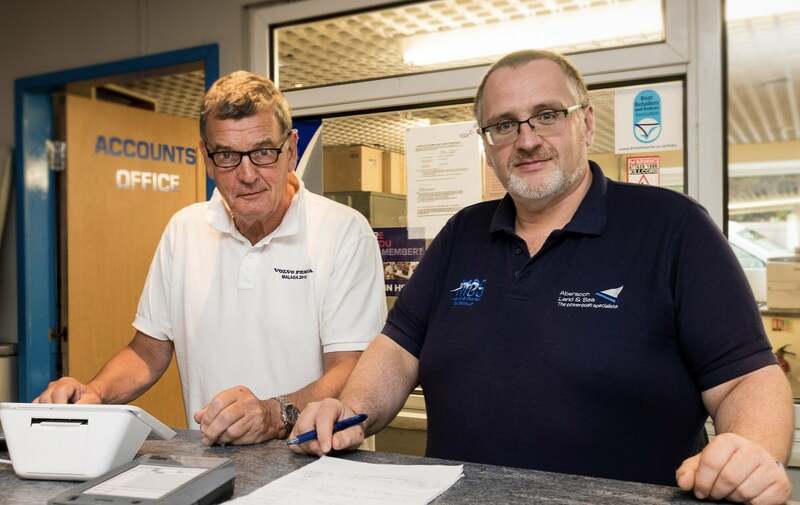 For a business that has in the past experienced the highs and not-so-highs of any long standing operation, is celebrating 25 years of ownership under the helm of Trevor Bethell. It’s an anniversary that deserves celebrating, a story worth telling, not least how a modest initial interest can turn into an enterprise that occupies half a lifetime! When in 1993 the business went into liquidation, a group of ten businessman came together to try and rescue an enterprise that is part of the very fabric of the village. It was an idea germinated at least as much in the hearts as in the heads of the group – they just didn’t want to see the famous landmark die. Well it turned out that Trevor had the biggest heart of all as, by the time the dust had settled and the deal was ready to be done, he was the last man standing. 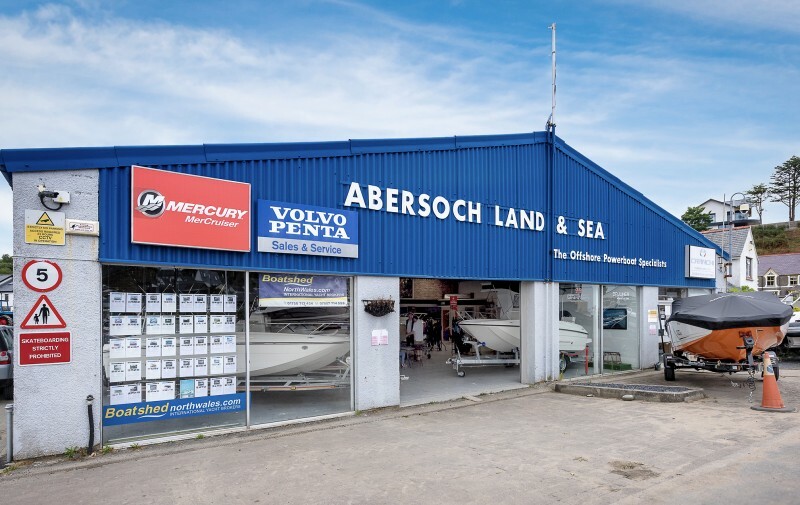 A man who had spent most of his career in construction was suddenly the sole owner of Abersoch’s principal boat dealer! With the cheque handed over to Grant Thornton, Trevor stood in his new ‘empire’ wondering exactly what he had done. On the plus side he had an unparalleled location, a famous name and a great team who had all stayed on. On the flip side of the coin he had no dealerships in place and no boats to sell! A little like the old local guy who, when you ask him for directions to Porth Ceiriad, tells you, “Well I wouldn’t start from here if I were you,” I can’t help thinking that even the most experienced and optimistic of boat dealers would not view that as an ideal starting point for a boat sales business. A natural hard worker and a man who understands the value of good service, Trevor soon got to work to secure the future. 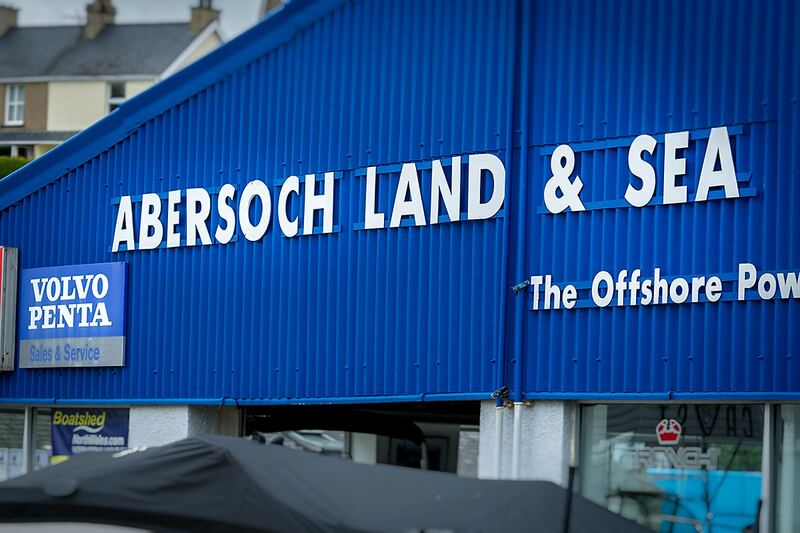 The first dealership he put in place was with legendary British speedboat manufacturer Fletcher. A familiar sight on the Abersoch waterline for decades (there are still plenty of classic older Fletcher craft launched in Abersoch every year) they were also a nice personal choice from Trevor’s perspective whose own first powerboat was what is now a classic Fletcher. 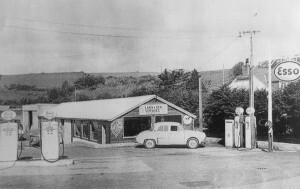 And so it has gone from there – as the reputation of the business grew, so the quality dealerships lined up to do business with Land & Sea. From a place that he arrived at with no boats to sell, Trevor and the team are now proud to be the principal UK importer and distributor of Cranchi Flybridge yachts, trawlers, sports cruisers and powerboats. Their unique relationship with Cranchi allows Land & Sea to provide an unparalleled level of service. From experienced guidance and advice at the time of purchase, to the unstinting support to existing customers that keeps boat-buyers coming back again and again. The quality of after-sales support is so important – a well maintained boat is the key to safe, enjoyable boat ownership and the business is proud to offer their own team of fully trained Cranchi and Volvo Penta technicians. Trevor is similarly proud of his team – any business is founded on the quality of it’s people and Trevor freely admits he was fortunate to inherit such a great, dedicated bunch. From the seasonal staff who launch the boats under the guiding hand of Peter; Llew, Dyfed, and Nigel who all manage and run the workshop; to the familiar face of Dilwyn who runs the servicing and counter; to Trevor’s wife Julie who still helps in the showroom and Pauline who manages the accounts, it’s a well oiled machine down at Land & Sea. 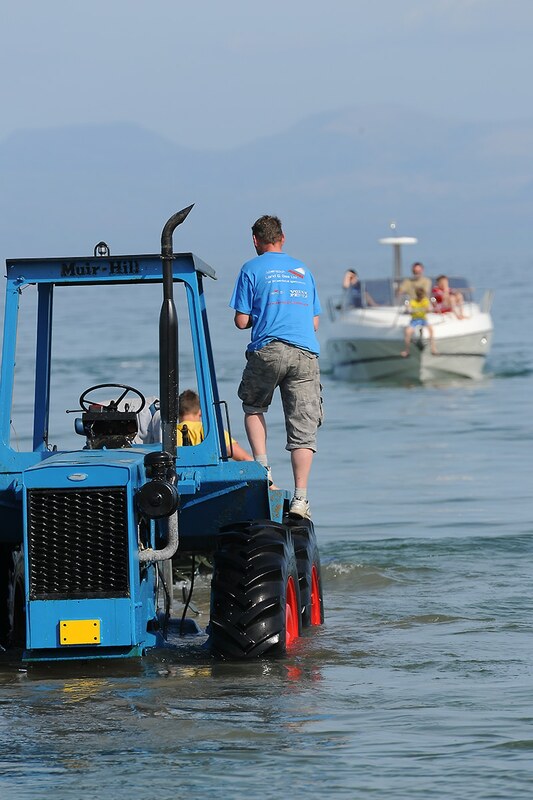 And whilst Julie and Trevor’s children Katie, Jonathan and Stephen may not be involved in the business, they have that love of Abersoch that extends across so many families – from those who love the Welcome Hill to those who work at the bottom of it! Grandson Archie is the latest recruit to the Abersoch love affair. 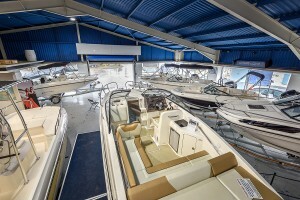 The team at Land & Sea are also now one of the UK’s longest-established distributors of Bayliner boats. The Bayliner range of sports boats is the world’s most popular marque. They include stylish bowriders, outboards, cuddies and cruisers, all of which are competitively priced, making them one of the best value boats on the market with a great range on display in the vast, modern Land & Sea showroom. As a main dealership for Mercury outboards the full range are available – from a lightweight 2.5 HP to power your tender or inflatable, to state of the art 400HP outboards to drive the latest Bayliners and biggest boats. All Bayliner models come with a Mercury outboard five year warranty, with a three year Mercruiser Warranty on their inboard engines. It’s a great package that gives peace of mind to Land & Sea’s discerning customers in a competitive market. Williams Jet Tenders are a Land & Sea brand that have become one of the best-known tenders available today due to their ease-of-use, versatility, and stunning good looks. They are the tender of choice, or a great runabout. They are great fun for just a quick bomb around the bay, and maybe tow an inflatable toy, as well for those who are looking for a smaller, quick, manageable fun boat. With Zodiac, Avon and Bombard inflatables and Ribs now part of the Land & Sea family there is a huge range available, offering products to suit every boat-buyer. Whilst for those whose tastes lie elsewhere, a comprehensive selection of the superb Yamaha and Kawasaki jet-ski’s are available with a good range always available for viewing in the colossal showroom. 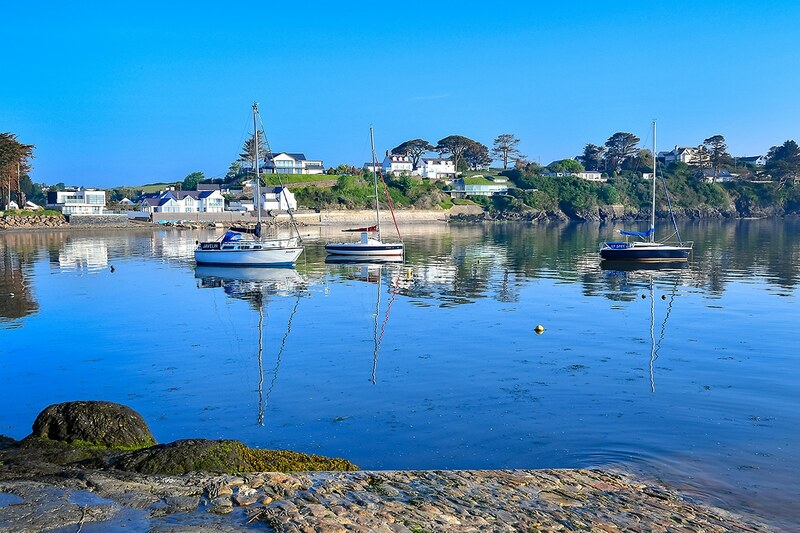 Abersoch continues to be a water-sports hub – both a wake-boarding centre and increasingly the home of a big community of paddle boarders. Which is where Land & Seas’s Jobe dealership comes into play. A massive range of wake-boards, water-skis and all the accessories to get into either sport are on show, whether you are a recreational boarder looking for a bit of fun or a budding pro. And the fantastic range of the towable inflatables loved by kids and adults alike is now joined by a growing range of quality Jobe inflatable paddle-boards. Full packages are available comprising board, carry bag, paddles and pump to get you easily into this incredibly accessible sport. For when you are on or in the water Trevor’s team supply a big range of wetsuits, rash vests, footwear and swimwear to keep you feeling warm and looking cool. If you are looking for somewhere easy and secure to park your boat for the summer and/or the winter, Land & Sea offer a range of packages including a highly efficient Park and Launch service through Peter and the team whose tractors you can see making the regular run down the track to the harbour beach. The Storage and Launching service runs seven days per week for the full season from 1st March to 31st October. When the fun on the water is over for another season, the nights are drawing in and you are looking for somewhere easy and secure to park your boat, winter storage is available ashore in secure compounds or undercover. That track down to the beach is home to a long-standing dream come true for Trevor. 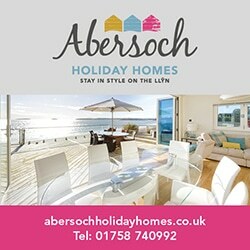 If you stand on the old Lime Kiln looking across the harbour towards Land & Sea you will see a stunning, contemporary Californian style beach-front home on the left of the track – one of the finest settings and views in Wales. It’s the culmination of years of work by Trevor and his architects. Trevor freely admits that personally he just wanted a simple home by the sea but his designers took him with them on a journey that has ended with the building of a remarkable home that would justify its very own Grand Design award. Trevor’s previous career in construction meant he led the build himself, including developing a substantial and complex foundation system designed to work with the winter storms rather than try and fight them. It’s a pretty short commute too! 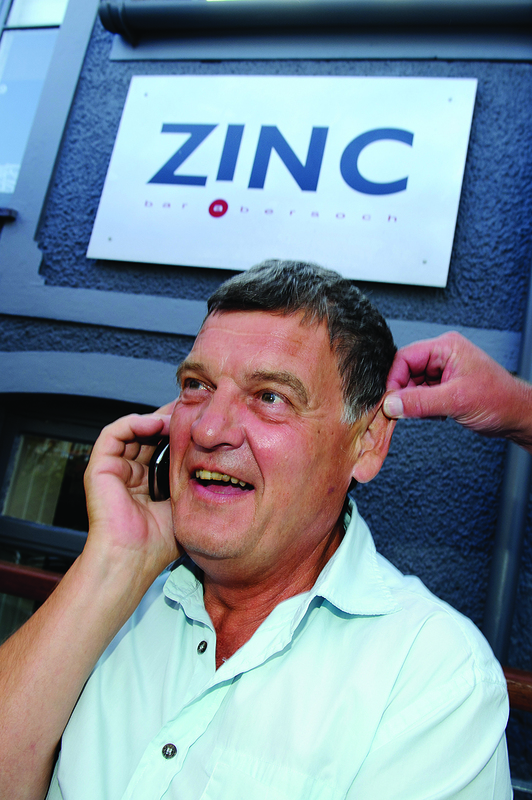 Trevor is full of stories – from epic boat deliveries that have taken him down to the South of France and the furthest points of Ireland to hilarious customer stories that don’t bear repeating here! 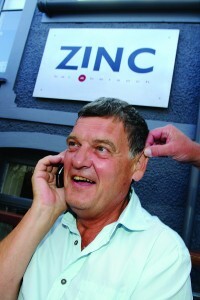 For a businessman so closely associated with powerboats it will no doubt surprise many that Trevor started life on the water in sailing boats, with a decent reputation in the world of competitive racing out of the lovely Port Dinorwic on the Menai Straits. 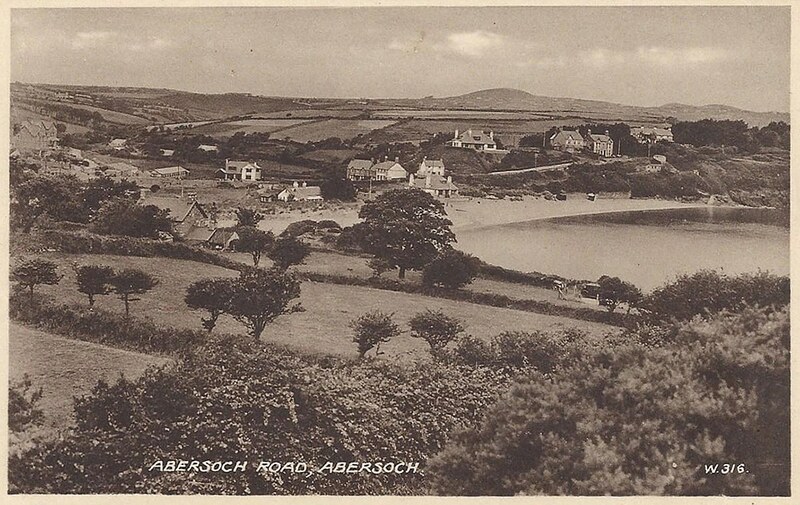 It wasn’t until the 1980’s that he bought a chalet on Green Pastures and made Abersoch his boating home. From where he has grown to be part of the very fabric of the village and the boating community, both here and further afield. 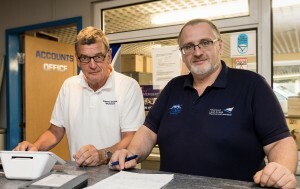 Not least through the Boatshed used boats franchise that is now a significant part of the business. It’s a service which offers a great opportunity for customers who are looking to trade up to get best value for their existing boat. Trevor’s office tells you all you need to know about his love of the water and boats of all types. The walls are adorned with pictures old and new. 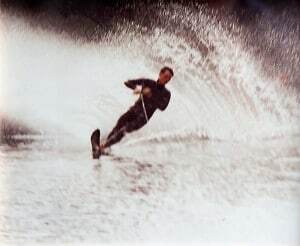 There’s the print of the owner as a young man water-skiing on Windermere – I’m going to be diplomatic here and say the photograph must have faded a little with time because to a casual observer it looks very much like an ancient sepia print of bygone times! Maybe it is because I was startled to learn a healthy looking Trevor is ‘well into his mid-sixties’ – Abersoch is clearly good for your health! Elsewhere there are lovely prints of old Abersoch and some of the beautiful boats Trevor has supplied in his quarter of a century captaining Land &Sea. That love of boats and the sea is what sets Trevor apart and what makes him a man who you’d want to do boating business with, whatever your budget. He is clearly just as excited and interested in supplying a small Zodiac or Avon inflatable as he is a Cranchi Flybridge super-yacht. I think this enthusiasm comes from his long personal history with boats of all makes and sizes. From those days as a youngster learning every trick of the tide sailing the Menai Straits, to the thrill of owning that first Fletcher speedboat, and on to dealing with big luxury boats, his story tells of a lifetime’s affinity with the water. A life-long love of boats and boating that comes across in every aspect of the business. 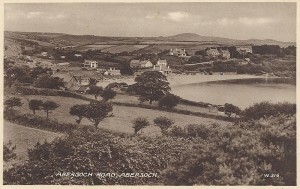 I ask Trevor, twenty five years at the helm of Land & Sea, what draws people to Abersoch, what is it that brings them here to buy their boat and launch into this sheltered corner of Cardigan Bay? He points to one of those pictures on the wall of his office – a boat and it’s smiling crew slipping through the blue waves, the sunshine illuminating the golden beach in the foreground and the hills of Snowdonia in the background. “It’s not complicated is it?” he says with a smile. CONGRATULATIONS TO TREVOR AND ALL THE TEAM DOWN AT LAND & SEA – HERE’S TO THE NEXT 25 YEARS OF A FABULOUS LOCAL LANDMARK!